Fort Lauderdale auto theft defense attorneys at The Law Offices of Richard Ansara work diligently with defendants in auto theft cases to formulate an effective legal strategy. Auto theft is viewed as a unique type of theft under state law. While most theft-related crimes are ranked in severity based on the value of items stolen, auto theft in Florida is always a felony, even if the vehicle isn’t worth very much. The Florida Department of Law Enforcement (FDLE) reports there is one motor vehicle theft every 15 minutes in this state. Grand theft auto has been glamorized in recent years with a series of video games by the same name. But the potential penalties are hefty, and usually include jail or prison time. 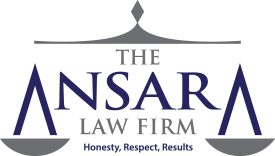 An experienced defense lawyer can help plaintiffs pursue a reduction or dismissal of charges prior to trial, or employ a series of effective strategies during trial if the case proceeds to that phase. Don’t wait to consult a lawyer until after questioning by police. Refuse to answer any questions until you have had the opportunity to speak with a criminal defense attorney. OR appropriates the property to his or her own use or to the use of any person who isn’t entitled to it. As it pertains to motor vehicles, there is no such thing as “misdemeanor auto theft.” The crime is always a felony. Even “joyriding,” which is short-term, temporary use with the intent to return, is generally charged as a felony offense. But there are a number of factors that determine how serious the felony is, including the value of the vehicle and whether the vehicle was used as a weapon to commit other offenses. Obtaining property by fraud, willful misrepresentation of a future act or a false promise. Any other vehicle operated on state roads to transport persons or property, propelled by power other than muscular power. Most motor vehicle theft cases in Florida will be prosecuted as third-degree felonies. Maximum penalties for this crime are up to 5 years in prison, $5,000 in fines and suspension of one’s driver’s license for up to six months. However, if the vehicle stolen was valued at more than $20,000 (but less than $100,000), or if the vehicle stolen is a law enforcement or emergency vehicle (even if of a lesser value), the charge is filed as a second-degree felony, which under state law is punishable by up to 15 years in prison and a fine of up to $10,000. A grand theft auto charge can be increased to a first-degree felony – punishable by up to 30 years in prison – if the vehicle stolen was valued at more than $100,000 OR if there was more than $1,000 damage done to any personal property during the crime. Similar to grand theft auto (but codified in a different statute) there is the crime of Failure to Return a Rental Car, as explained in F.S. 812.155. If a person intentionally keeps a rental vehicle beyond the expiration of the rental period – without the consent of the owner – commits a third-degree felony, punishable by up to 5 years in prison. Similarly, if a person takes custody of a vehicle via fraud, deceit or trickery, this too is considered the grand theft auto. Another similar crime, known as Carjacking, is essentially robbery of a motor vehicle. As explained in F.S. 812.133, carjacking is taking a motor vehicle from the custody of another person with force, violence, assault or threat. It’s a first-degree felony, with a maximum penalty of life in prison (if a deadly weapon is used). Absent the use of a firearm or deadly weapon, it’s also a first-degree felony (but with a lesser offense ranking), punishable by up to 30 years in prison. With Intent, defense lawyers can argue the individual did take the vehicle, but had intended on returning it to the owner. If the individual had no intention to unlawfully deprive the owner of the vehicle’s use or benefit, defense may be successful. Similarly, if defendant had Consent to use the vehicle, then there is no crime. But it’s important to note that an owner’s past history of consent to that defendant does not establish consent in every case. The issue is whether defendant had consent to use the vehicle on that particular occasion.